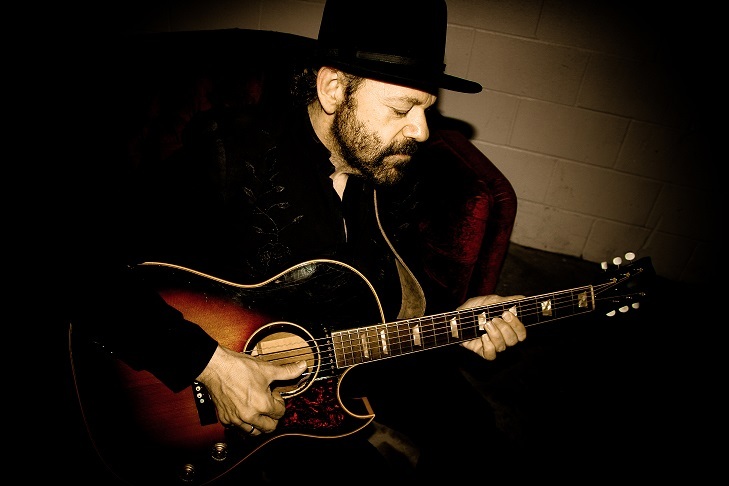 On Sept. 25th roots singer/guitarist/producer Colin Linden will release his latest recording entitled Rich In Love on Stony Plain Records. This is Linden’s first album since 2009’s From the Water and 2012’s Still Live recording. A native of Toronto, Canada and long-time Nashville resident, Rich In Love finds Linden digging deeper into his first love- the blues. At eleven years old while most kids his age were hanging out at the playground, Linden got the opportunity to see Howlin’ Wolf at Toronto’s Colonial Tavern. It was Linden’s first concert and the aspiring guitarist ended up spending three hours talking and being mentored by the blues legend. It was this meeting that inspired Linden to chase his dreams, and eventually sparked a career that over time has seen him on over 400 recordings; 100 of them as producer. Linden’s singing and guitar playing is expressive and very pleasing to the ear. The songs take the listener on a reflective journey through shameless encounters and abandoned yearnings. The playing and storytelling makes Rich In Love a truly fascinating well-polished recording. This video teaser above features photographs of Linden’s determinative years, and as sideman for artists such as Bob Dylan, Gregg Allman, Emmylou Harris, Robert Plant and Alison Krauss. As well as his current gig for ABC’s television show “Nashville.” Linden plays almost three quarters of the tunes heard on the show and oversees all of the music shoots that take place on the screen. He’s also been the bandleader for the program’s national tours that have taken place across the country. How familiar are you with the work of Colin Linden? Were you aware that he was mentored by Mississippi blues legend Howlin’ Wolf? Please add your thoughts or comments in the area below.